Firm foundation right? Say it again kindergarten teachers! 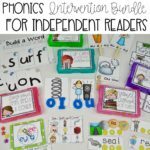 That phonics foundation starts with you superhero teachers in kindergarten and from there, we continue to build to produce amazing readers and writers in the upper grades. 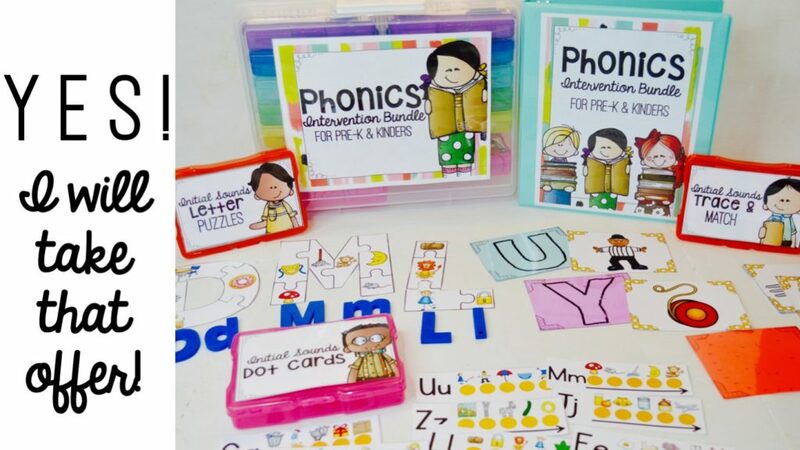 I can not believe that three weeks after launching the Phonics Intervention Bundle for Early Readers, that I am now sharing the kindergarten and pre-k version of the pack as well. 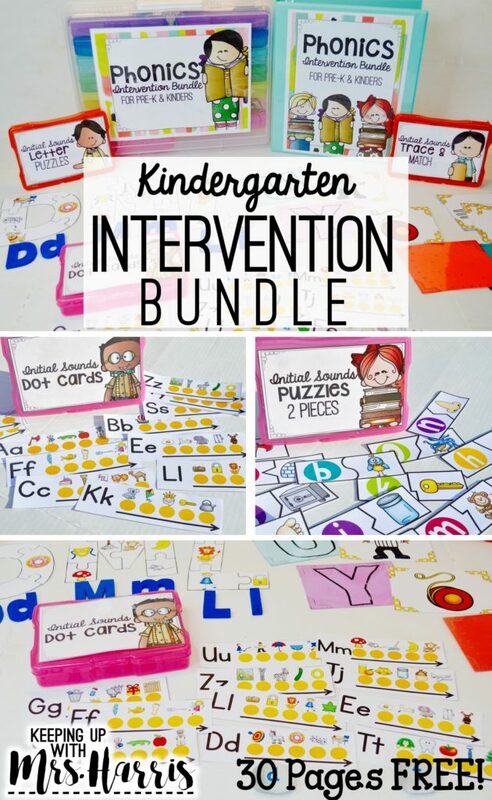 I’ve used the activities with my kindergarten intervention groups in the past and used them with my own son as we were preparing for kindergarten last summer. I have a 30 page FREE pack for you, click here to sign up! Kindergarten teachers, in my humble opinion, have the hardest job in August than any other grade level! They have to not only teach students who have never been to school how to walk in line, carry a lunch tray, but also students come to school with such a variety of experiences, vocabularies, and knowledge of learning. 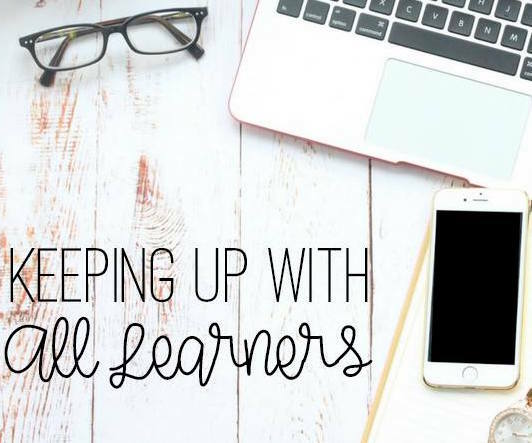 You might have students who start school not even knowing how to hold a pencil, students who know their letters and sounds, or even students who are ready to read right away. 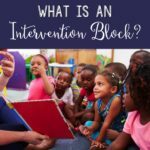 For the past five years, I have worked as a Reading Interventionist and RTI Coordinator for my school district. My most important role ever though is being Mom. I have two boys. One struggled in kindergarten and the other is currently excelling. Want to know the difference? I had no clue when I was teaching second grade of how to prepare my up-coming kindergartener. It took me working with kinders to even know what to do to prepare my own child! When I started serving kindergarten students, I realized that there were very few resources that really focused on students who were not ready to read yet and still needed foundational practice. 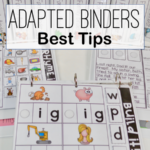 There are so many ways to teach letter recognition, but flashcards are SO last year! Throw those babies away!!! PLEASE!!! Start with concept of print. 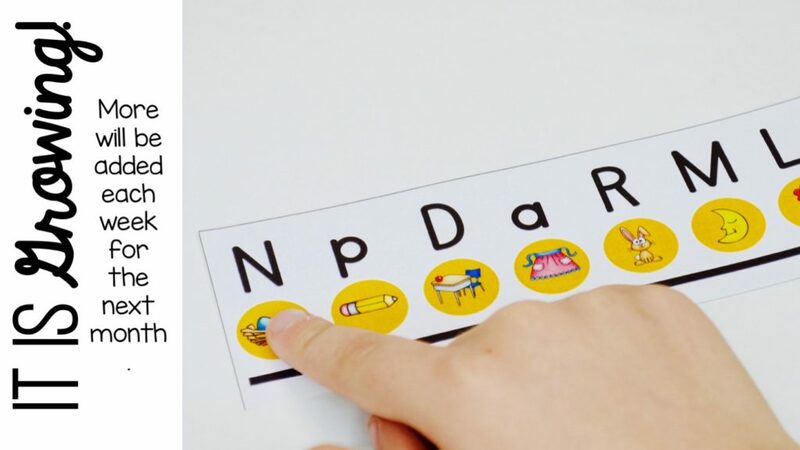 Change up the fonts and see if your students can match the shape and formation of the letters. It starts with letting them see similarities and differences. With fonts, don’t be afraid of traditional or contemporary a and g letters. Kids will see both and need to know that both are acceptable. It is also important to also introduce left to right with students. I have letter fluency dot cards that you see in the picture above. I love these. They really show students that they need to touch and track as well as move left to right. I added initial sound pictures just to expose students to that concept as well. Some students can pick up on the sounds naturally this way. Watch below for one activity that my son LOVES! For students that love numbers, you can really motivate them with these connect the dot activities. You can extend learning with your higher students, by having them match a picture with the same initial sound. Watch below! 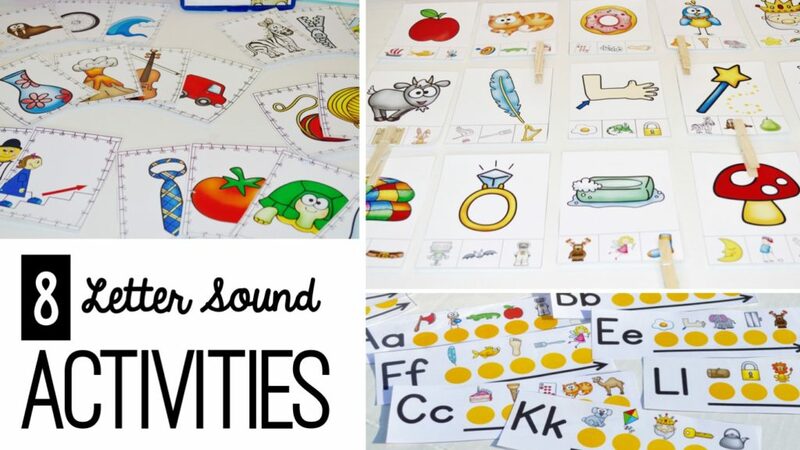 I’m going to share with you two of my favorite letter sound or initial sound activities that my son loves! These are two that he constantly asks to do. 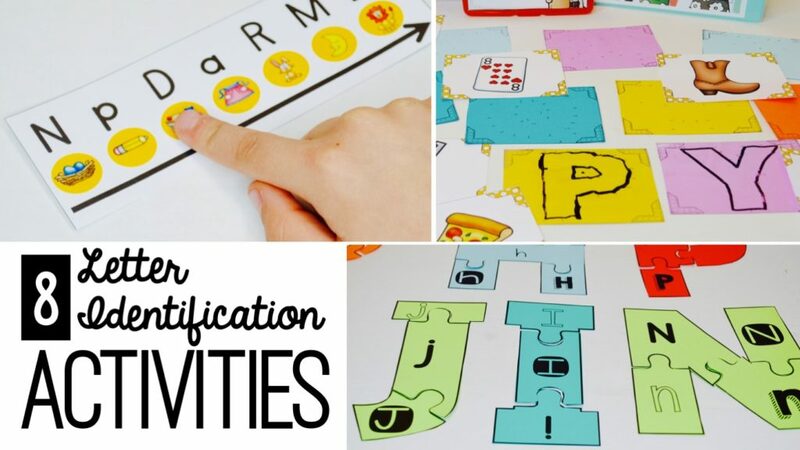 There are a total of 8 different letter sound activities that can be played many different ways so that you can use them all year long! Both of these activities are high interest and engaging which will promote learning and keep your students active while learning! 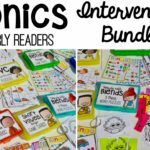 Along with the activities and games that you get with this intervention bundle, there are also printable that are EDITABLE! Which means that you can type your letters, print and go! 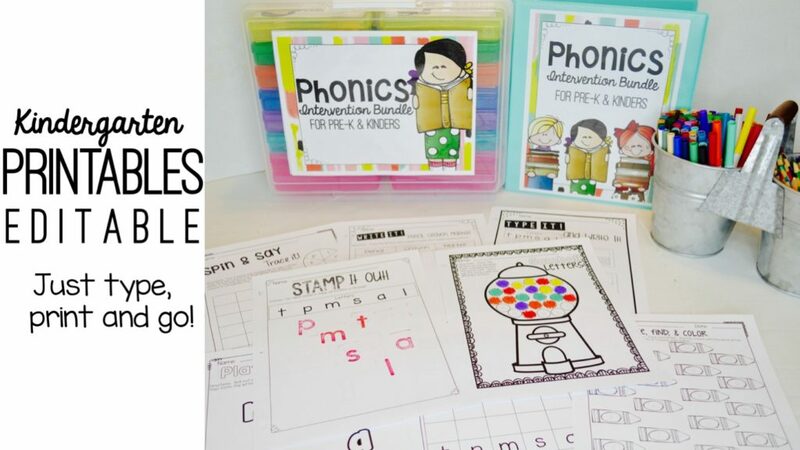 These are perfect for additional practice in small groups, homework, word work, independent practice and more! It is a GROWING bundle! What does that mean? It means that while the pack is currently almost 200 pages, it will get bigger and the price will go up. So now is the time to buy. You get all the activities now and you will get all the additional activities and printable in the future for free. So if you decide to purchase now, be sure to check back each week to redownload and enjoy the new additions. Don’t miss out on the promotional price! Best news ever? Because I want your students to get their hands on these hands-on materials TODAY, I’m offering the bundle at a discounted price. There will be resources added periodically so after purchase, check your updates! There are almost 200 pages in the bundle so why not get over 30 pages for FREE! Just click here to sign up! 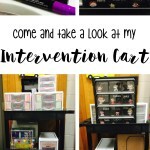 What’s on the Intervention Cart? It is six in a ten frame. Hi Kris! I would suggest getting two Iris storage containers. One for activities and one for books. 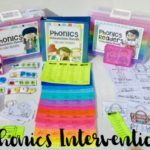 I am fixing to purchase your K Phonics bundle 🙂 I am so excited! I saw you say the box was from Iris and you suggested purchasing 2 boxes. My question is I am seeing 4×6 and 5×7 containers. Which size do you have/suggest to get? I can’t get the download to work! Hi! 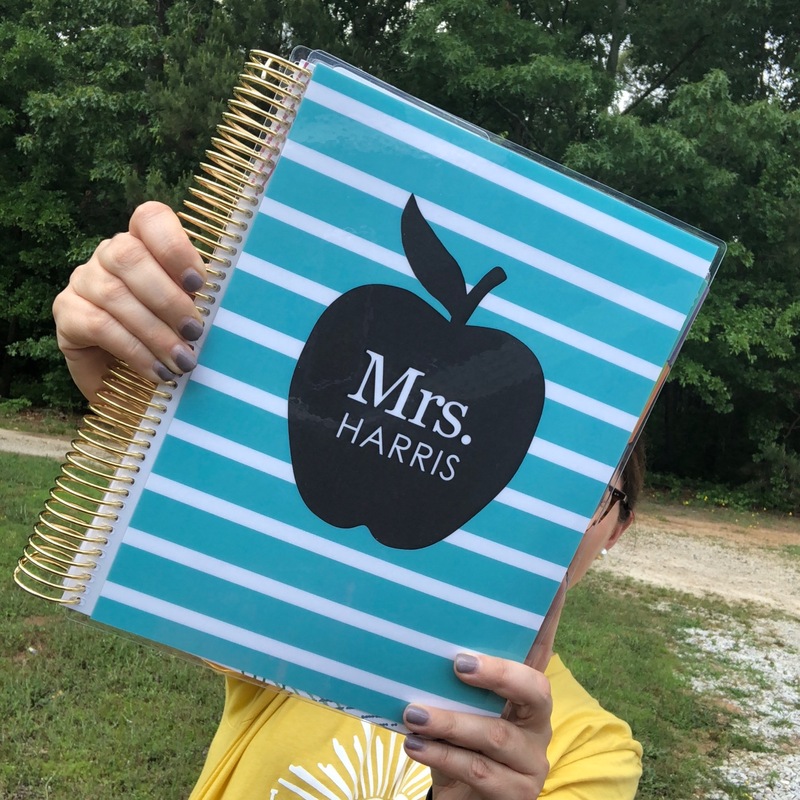 Email me over at keepingupwithmrsharris@gmail.com and in the subject put kindergarten phonics sample. I’ll send it over to you. I saw that the bundle was for $8.50? That must have been last year? I can’t wait to use these! Hi! 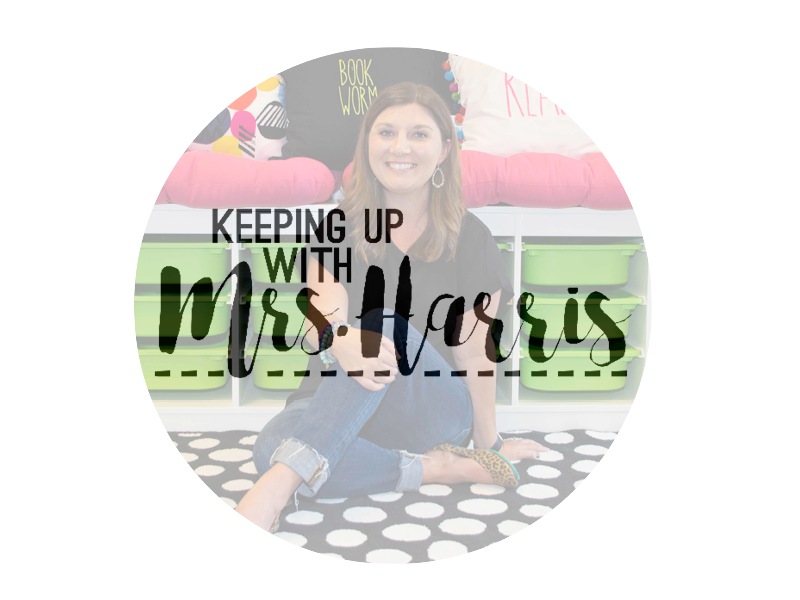 Email me at keepingupwithmrsharris@gmail.com and I’ll send it over to you!